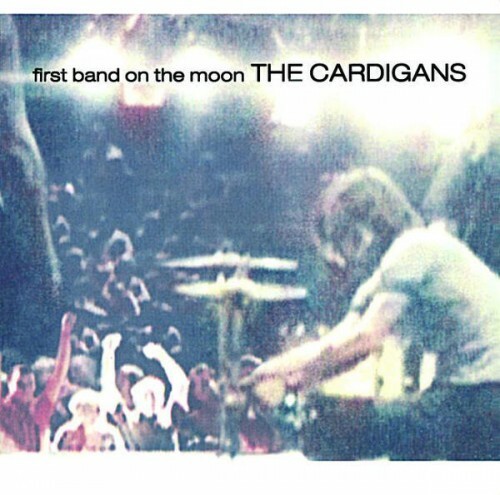 First Band on the Moon is saved by the Cardigans' core strengths: Persson's vocals and Svensson's arrangements. Rather than being cloyingly sweet, which is a clear risk, it manages to introduce just enough of the dark side to keep it interesting. Here ... are The Cardigans in all their Ozzy-worshipping, ex-boyfriend-abusing, ambient cocktail jazz-embracing glory. First Band on the Moon isn't quite as tuneful as Life, but if tune-an-Sich were a viable commodity anymore we wouldn't have lounge-rock in the first place. listen. i don't listen to much of the cardigans aside from this album, but this album is pure gold. it's so dreamy, but also incorporates elements of rock and pop that you wouldn't expect. i could listen to it over and over and never get tired of it. each song is its own entity, but they tie together so well. clearly lots of thought was put into this album. Obviously, they sat down and decided to sacrifice part of their freshness for a straight, pop-rock sound in order to be the first band on the moon. Purchasing First Band on the Moon from Amazon helps support Album of the Year. Or consider a donation?